Now it’s a super elegant dress that has gorgeous lace work on neckline and broad pleats that enhances the look of the dress. 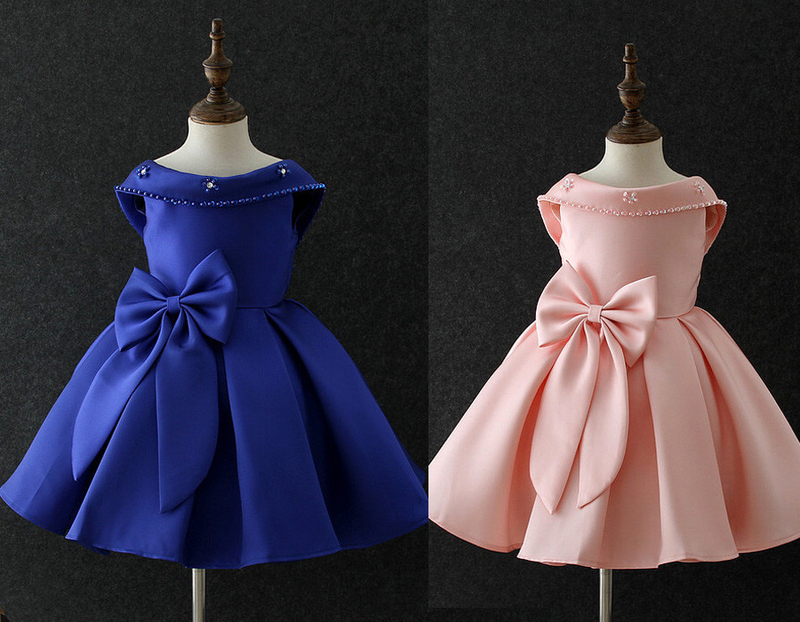 We have 2 color options for this dress. Blue and Hot pink. Black colors bellies will compliment both the colors and a golden lace headband will make it look more royal. The best thing about this dress is it’s 3D flowers sleeves, it looks stylish and adds a charm in the attire. Now this dress is available in 3 colors, red, blush pink and silver. You can match it up with a white floral headband and white bellies. It will look good with all 3 colors. The embellishments is the best part of this dress. These embellishment enhances the look of the dress and makes it too gorgeous. Silver color bellies will look amazing with it and a tiara with embellishment will make your girl look beautiful. We have black and red color option in this dress. It’s a gorgeous gown with beautiful lace bodice and net flare. 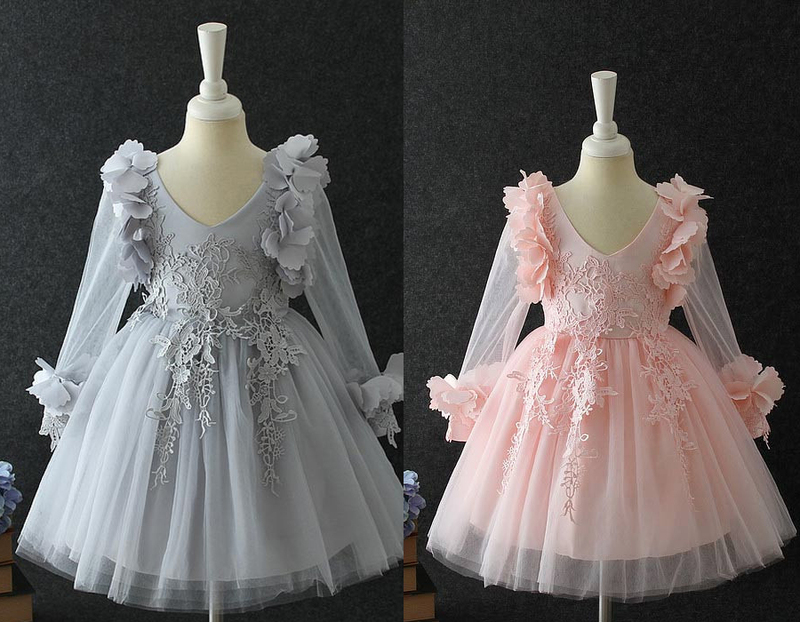 This dress will surely going to make your baby girl look like a princess. 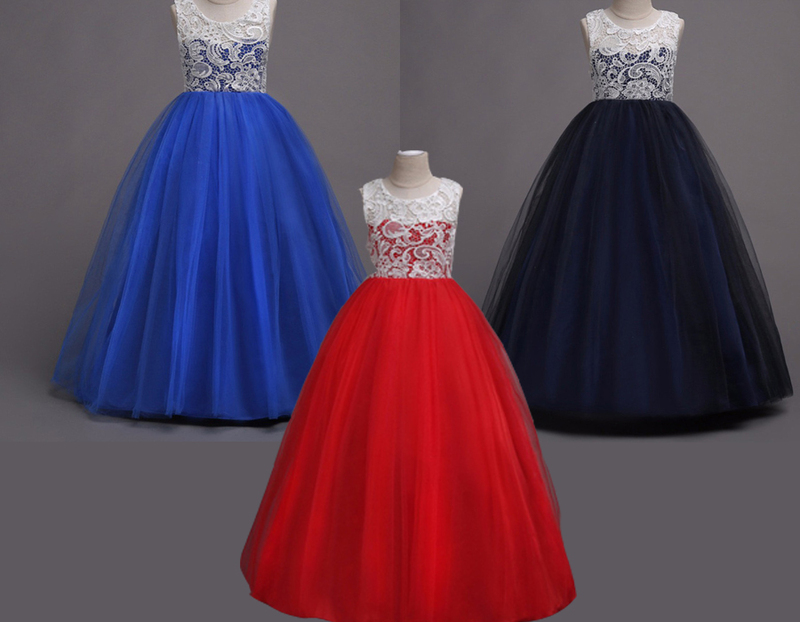 We have electric blue, red, dark blue color options in this dress. You can try a white bellies with it as the bodice is white and a tiara golden will enhance the look of the attire. You girl will be so happy to wear this dress with accessories. This is the most elegant dress which you are not going to get anywhere else. 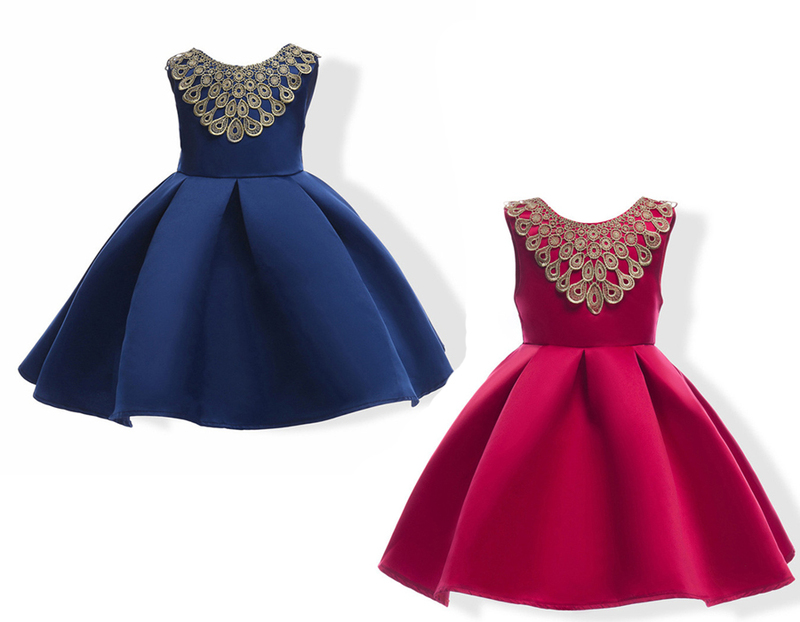 The embellishment, the big bow design and backless style is making it a must have attire. You can grab a black bellies with it and a gorgeous studded headband. We have more options of colors and designs which you can explore by vising our website. 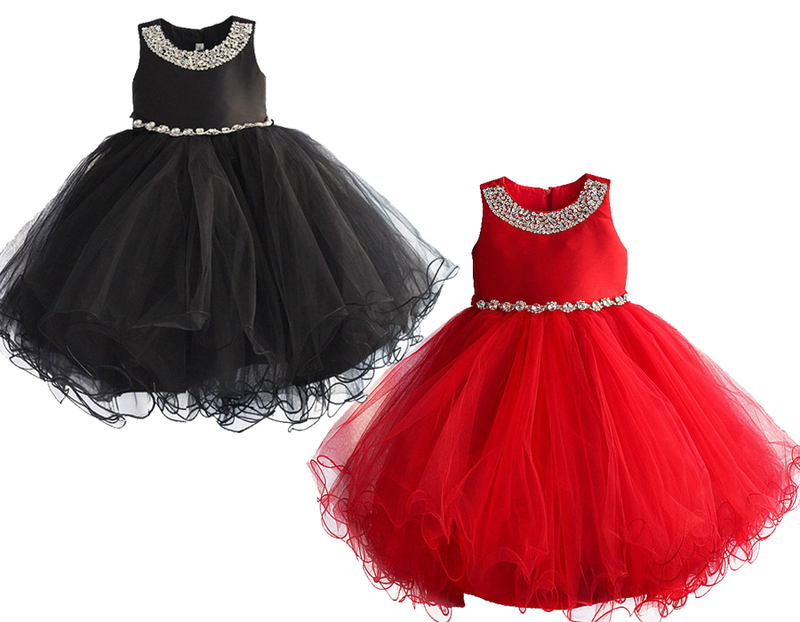 Get the best options of party dresses for baby girl. The post Look Alike Dresses With Vibrant Color Varieties appeared first on Baby Couture India.